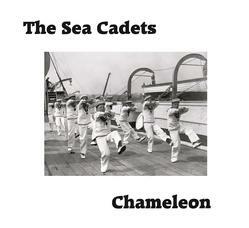 Hello, Here you will be able to add Sea Cadets songs to your iphone (inferior phones are availiable) - cheapskates can follow the Spotify links or use our Soundcloud player. Chameleon was a 2014 single on Rural Tension records. Although few were pressed, fewer were sold and so there are a couple (19) copies still availiable on Discogs. Click here to buy a Mint copy at a bargain price.